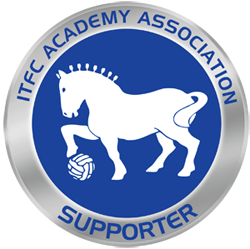 The “Friends Of Ipswich Town” Charity is based at Portman Rd at our Main Stadium. The Charity supports organisations based in Suffolk with Educational visits to Portman Rd. It promotes Fitness, Healthy Living/Lifestyle and football coaching programmes for local children. We have also supported local disabled youngsters with coaching sessions. All of our programmes are supported by First Team player appearances. The coaching sessions are held at Portman Rd on the Field-turf and in the Indoor facility at the Academy and the coaches are provided by the Player Development Programme and the Academy. The Charity also supports Hospitals and Hospices in Suffolk and Essex with Christmas visits and presents from our first team Manager and playing squad, plus various other local charities and organisations with Match Ticket Vouchers and ITFC merchandise throughout the season.